Absolutely fantastic property. It’s like being in an actual home, in a great part of the city. Felt super comfortable and the owner is very helpful. Would stay again in a heartbeat. Very friendly owner. 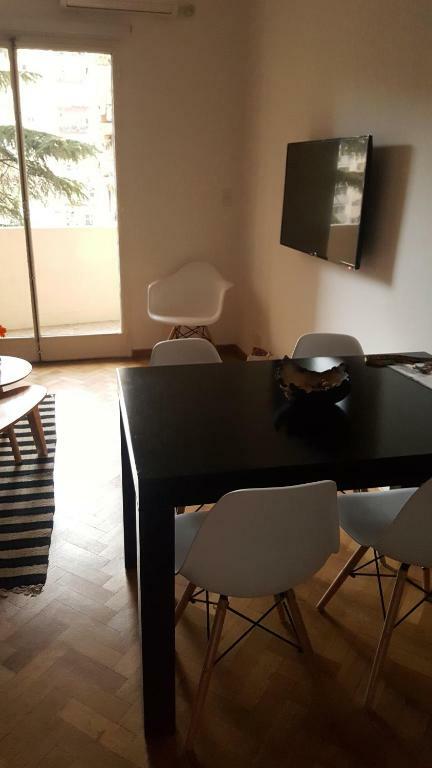 The lady that came for the check in and out does not speak english so have Google translate by hand if you don't speak Spanish ;) the apartment is clean, comfortable and the location is great. very comfortable, great location. Friendly, helpful host. 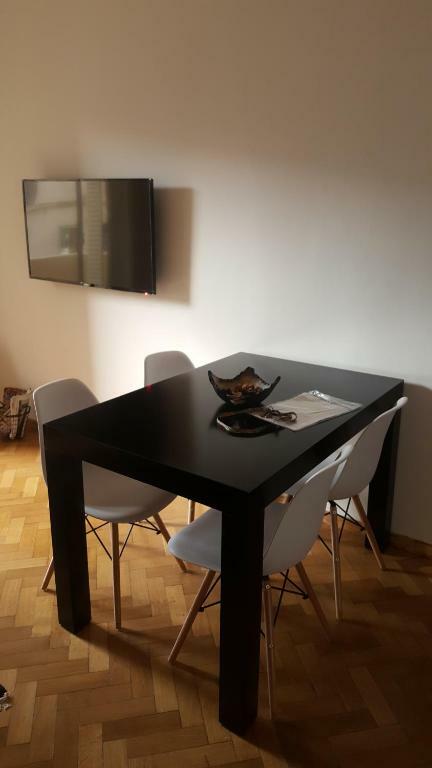 Great location, high quality apartment in a quiet secure building and the host was so accommodating and helpful even though it was Christmas! 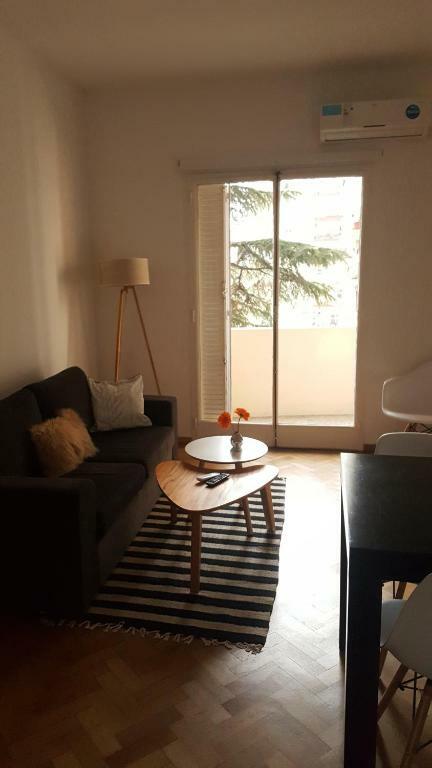 This lovely apartment is situated close to the airport as well as surrounded by all the best coffee shops, restaurants, parks, and shopping. Beatriz proved a wonderful host and before we departed we booked a second stay with her. Absolutely perfect home away from home! The apartment is clean, newly refurbished and very comfortable. The owner is very kind and welcoming and the location is great! Very easy to get to and from the property to various places of interest and to and from the airport. La atención de la anfitriona fue excelente, muy cordial y preocupada por hacer la estadía cómoda. Las instalaciones en excelente estado, con todas las comodidades. Un baño muy limpio, habitación de buen tamaño, cocina completa. Con acceso cercano al subte y colectivos. Die Wohnung ist perfekt für ein bis zwei Petsonen, zum Hinterhof, alles da zum Selbstversorgen für ein paar Tage, total zentral, Cafes um die Ecke, Kino auch, ein Einkaufszentrum. Der Preis dafür war auch gut, die Besitzerin sehr nett. Top. 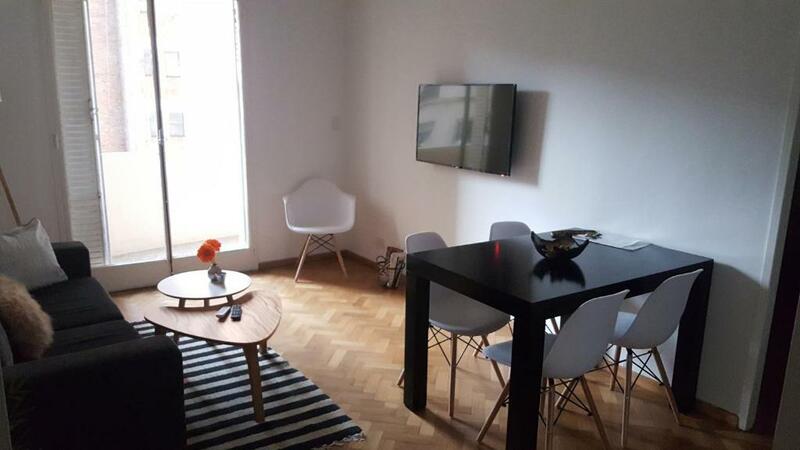 Departamento muy comodo con todo lo nesesario. La anfitriona muy amable. Das Appartement las Heras hat uns sehr gefallen, weil es in einem sicheren Quartier liegt. Von las Heras ist man zu Fuss in weniger als 10 Minuten im Botanischen Garten sowie einem grossen Park zum joggen oder auszuruhen. Das Appartement ist gegen den Innenhof mit einem Baum und einer kleiner Grünfläche ausgerichtet und sehr ruhig, obwohl es an einer dicht befahrenen Strasse liegt. Die charmante Gastgeberin Beatriz hat uns sehr herzlich empfangen und viele Tipps gegeben. Die Wohnung war sehr sauber und ist liebevoll eingerichtet. Es steht eine eigene Waschmaschine zur Verfügung. Die Betten sind sehr bequem. Wir würden las Heras jederzeit wieder buchen. 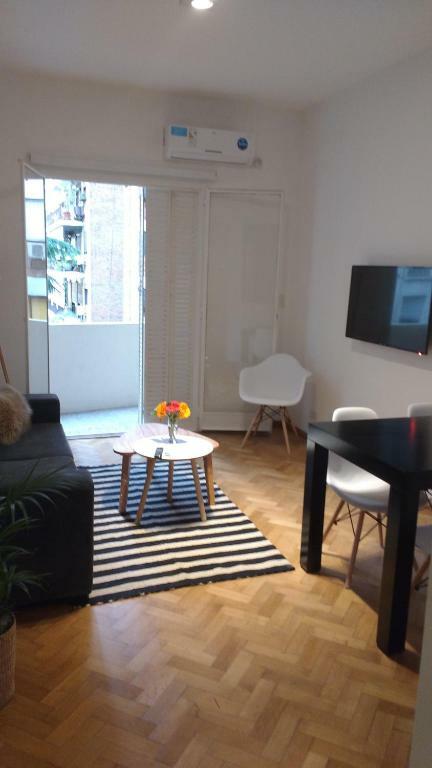 Lock in a great price for Apartamento Las Heras – rated 9.5 by recent guests! 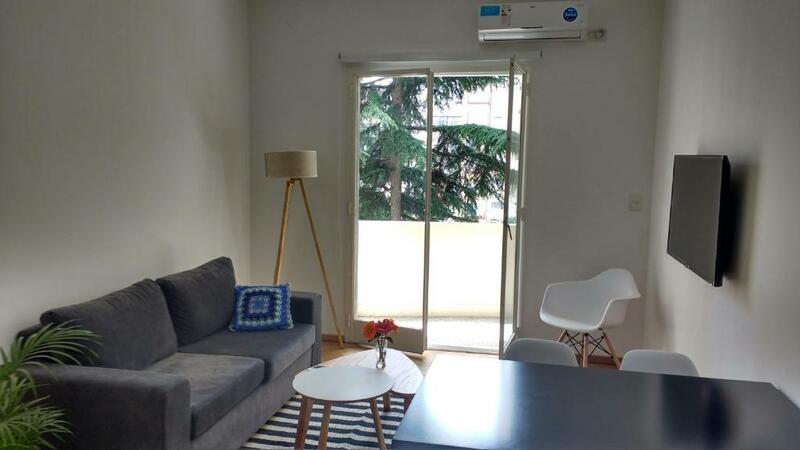 Apartamento Las Heras offers accommodations in Buenos Aires, an 11-minute walk from Buenos Aires Eco-Park and 0.6 miles from Buenos Aires Japanese Gardens. This apartment has air-conditioned accommodations with a balcony and free WiFi. The apartment features 2 bedrooms, a kitchen with an oven and a microwave, and a bathroom with a bath and free toiletries. A flat-screen TV with satellite channels is provided. Museum of Latin American Art of Buenos Aires MALBA is a 16-minute walk from the apartment. 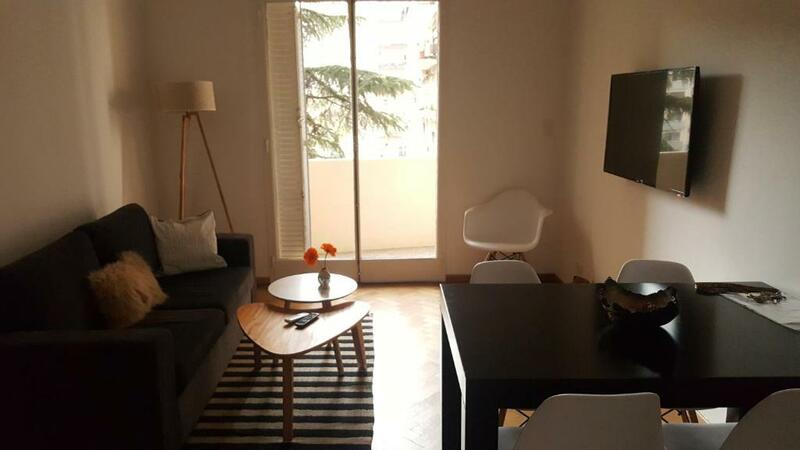 When would you like to stay at Apartamento Las Heras? El Barrio es Elegante , Seguro , rodado de Parques , Jardines , Museos ,restaurantes , confiterías , supermercados , etc. Con múltiples medios de transporte . 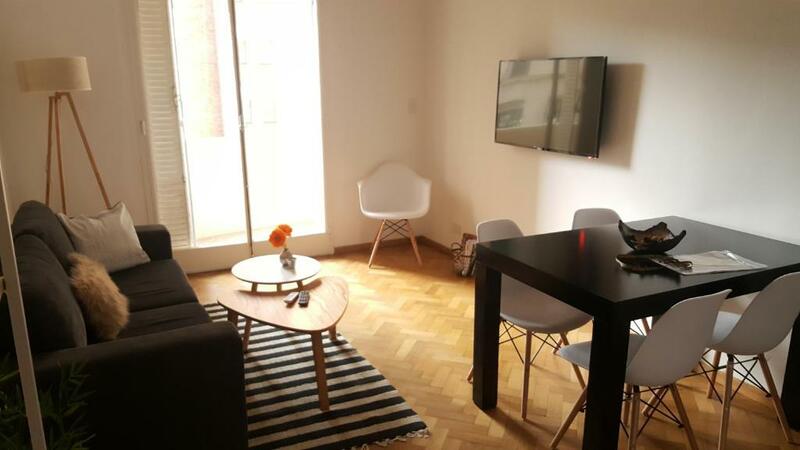 House Rules Apartamento Las Heras takes special requests – add in the next step! Please inform Apartamento Las Heras of your expected arrival time in advance. You can use the Special Requests box when booking, or contact the property directly using the contact details in your confirmation. Kitchen equipment, while including everything you need, is a bit dated. (Dull knives, for example.) It’s a minor thing, but they could do with an update.